Transformation and Brand innovation can take many forms. But what can it do for the grocery chains market? How far can we picture the customer experience and service? Autonomous grocery delivery buggies may (soon?) roam U.S. neighbourhoods if Kroger’s pilot program works out. The largest American supermarket chain will test soon -with the Mountain View-based Nuro– the concept of driverless home deliveries (the pilot will start this fall, 2018). 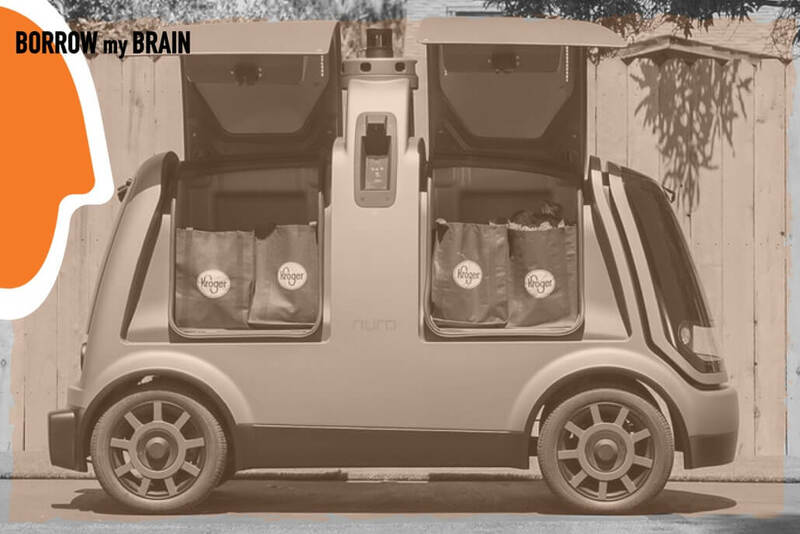 Nuro applies robotics, Artificial intelligence (AI), and computer vision technology in partnership with local businesses looking for innovative ways to deliver goods that are cost effective for merchants and convenient for customers. While your supermarket still cares for volume and price discounts, repeating the 80’s routine, …or which shelf to book with which FMCG company for incremental revenue, there are companies (like Kroger) who care for the consumer and how to serve their needs. Check the below video and fantasize about the future change. It is apparent that our societies and economies should prepare for such evolution.